Access Sprint Planning from planning menu. There are two section for Sprint Planning. 1. Release Backlog items not assigned to any Sprint. 1. Select Release under which the sprint is to be planned. 2. Click on Add Sprint to add new Sprint. 3. 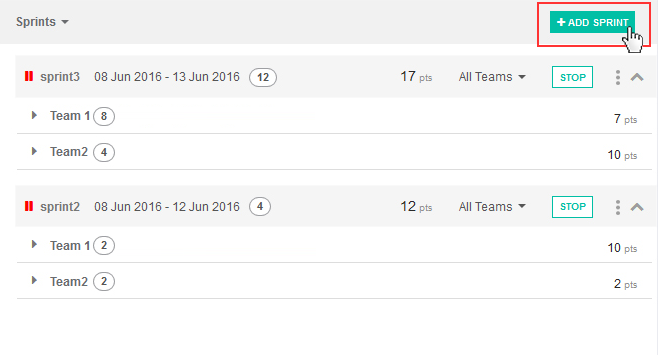 To manage team availability, click on Set Availability. 4. Click on Save to create the sprint sucessfully. Add Sprint name to identify the Sprint in future. Select teams for Sprint Planning for the selected Sprint. Select Sprint duration to create Sprint.